Penn State picked up the 19th verbal commitment in its 2016 recruiting class in Clairton three-star athlete Aaron Mathews over the weekend. The Nittany Lions also saw plenty of its current commits head to All-America games to showcase their skills. Greg Pickel caught up with Dustin Hockensmith to give the latest on Penn State’s recruiting efforts on this week’s Keystone Kickoff Show. Penn State enters its offseason following a 24-17 loss to Georgia in the TaxSlayer Bowl. Coach James Franklin approaches the offseason with a big question at quarterback after Christian Hackenberg’s official declaration for the NFL draft. Fight On State’s Mark Brennan joined Bob Flounders and Dustin Hockensmith to talk about Hackenberg, Trace McSorley and more on this week’s Keystone Kickoff Show. Penn State clashed with Georgia in the Taxslayer Bowl in a matchup of two traditional powers in a state of transition. Andy Shay and Jim Galanti review the Penn State 24-17 loss. Penn State clashes with a Georgia in a matchup of two traditional powers in a state of transition. Bob Flounders and Dustin Hockensmith took a look at the matchup and offered their predictions on this week’s Keystone Kickoff Show. Penn State’s Chris Godwin parlayed a breakout performance in last year’s Pinstripe Bowl into a huge sophomore season. Which young Nittany Lions could do the same in the TaxSlayer Bowl? Bob Flounders and Dustin Hockensmith discussed on this week’s Keystone Kickoff Show. Penn State’s Bob Shoop turned down a job interview to remain in Happy Valley, and redshirt junior Austin Johnson indicated he might come back for his senior season. That news updated the program’s top headlines of the week, which Andrew P. Shay and Dustin Hockensmith broke down on this week’s Keystone Kickoff Show. Penn State has four commits competing at the Under Armour All-America game this week in Ellison Jordan, Michal Menet, Miles Sanders and Shane Simmons. Greg Pickel joined Bob Flounders and Dustin Hockensmith live from Orlando to break down how the quartet looked in practice leading up to the game. Jim and Andy from the Upper Deck. 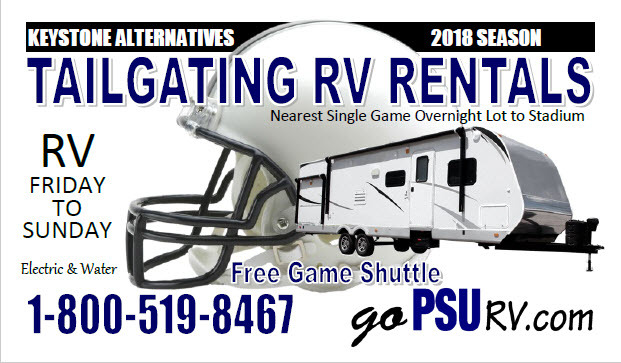 Penn State inches closer to its Jan. 2 date with Georgia in the TaxSlayer Bowl and gets good news on Brent Pry. Coach James Franklin also had high praise for a handful of true freshmen who redshirted this season. Greg Pickel, Bob Flounders and Dustin Hockensmith caught up on those topics and more on this week’s Keystone Kickoff Show. Penn State offensive coordinator Joe Moorhead brings with him a wealth of experience as a head coach and longtime assistant with a clear purpose for his up-tempo offense: score points in bunches. Ross Tucker joined Dustin Hockensmith and Bob Flounders to talk about the impact of his arrival and more on the Keystone Kickoff Show. Penn State has 18 commitments in its 2016 recruiting class and an eye toward a short list of top targets. As the Nittany Lions approach National Signing Day, Greg Pickel and Ross Tucker join Dustin Hockensmith on the Keystone Kickoff Show to assemble James Franklin’s holiday recruiting wish list. Penn State quarterback Christian Hackenberg has a big, well-publicized decision to make: declare early for the NFL draft or opt to salvage his stock as a pro prospect with a big senior season. Ross Tucker joined Bob Flounders and Greg Pickel on the Keystone Kickoff Show to weigh the pros and cons of a jump to the NFL. Penn State’s James Franklin and recently hired offensive coordinator Joe Moorhead made their first comments since Moorhead’s hiring was announced. They talked about their relationship, the interview process and their shared offensive philosophy at an opening news conference earlier this week. Penn State found its replacement for offensive coordinator John Donovan in former Fordham head coach Joe Moorhead. He moved up from the FCS ranks, where he guided an explosive spread attack, to coordinate the struggling Nittany Lions offense. Penn State last week introduced four members of its 2016 recruiting class who are enrolling at the university in January. Quarterback Jake Zembiec, tight end Danny Dalton and offensive linemen Alex Gellerstedt and Connor McGovern are all getting an early jump on their college careers with weight room and spring practice time. Penn State is pushing toward the finish line in the 2016 recruiting class with 18 current commits but plenty more work to do before National Signing Day. That includes sealing the deal with players such as Brendan Ferns, as well as turning their verbal commitments official. Keystone Kickoff is Now in State College! An hour show with the most in-depth Penn State football information anywhere. 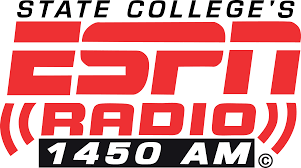 Catch us on our new home, ESPN 1450AM in State College. Every Monday, Wednesday, and Friday at 3pm. Keystone Kickoff is Now in York! 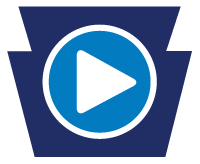 An hour show with the most in-depth Penn State football information anywhere. Catch us on our new home, WOYK 1350AM in York. 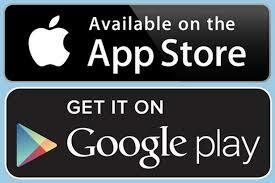 Every Monday, Thursday, Friday at 6 PM and Saturday at 8 am.